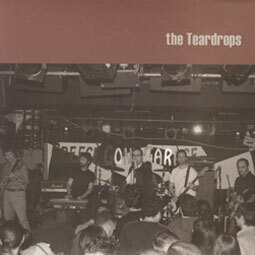 The Teardrops started playing music in the city of Athens from 1999 till 2010 when the band was disbanded. Meanwhile they played at many gigs in venues in Athens like Gagarin, Kyttaro, Rodeo, An, House Of Art, Mo Better, Be Bop, Kafetheatro, Odd, Technopolis-Vavel Comics Festival, Glam etc, but also at the Be-live music club at Larissa, along with Sky Saxon and the Seeds. Three tracks of the band were compiled on the 'Enjoy The Greeks Vol. 1' and 'Enjoy The Greeks Vol. 2' CD compilations, and also one more track on the 'Secret Tapes' compilation of the 'Pop+Rock' magazine. Now, with their first official release, B-otherSide records proudly presents 2 live (+1 studio hidden) tracks on 350 hand numbered singles, including a 2 page insert with photos and bio of the group.